This virtual tour and users’ guide quickly explains the company’s web-based file backup services. 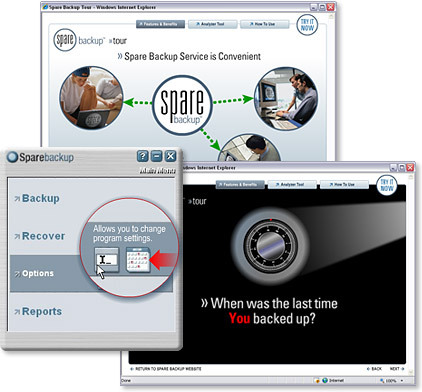 Entertaining, fast-paced animation keeps viewers engaged as they learn about the features and benefits of Spare Backup’s secure web-based service. The users’ guide section gets clients up-to-speed quickly through an easy-to-understand tour of the software interface.